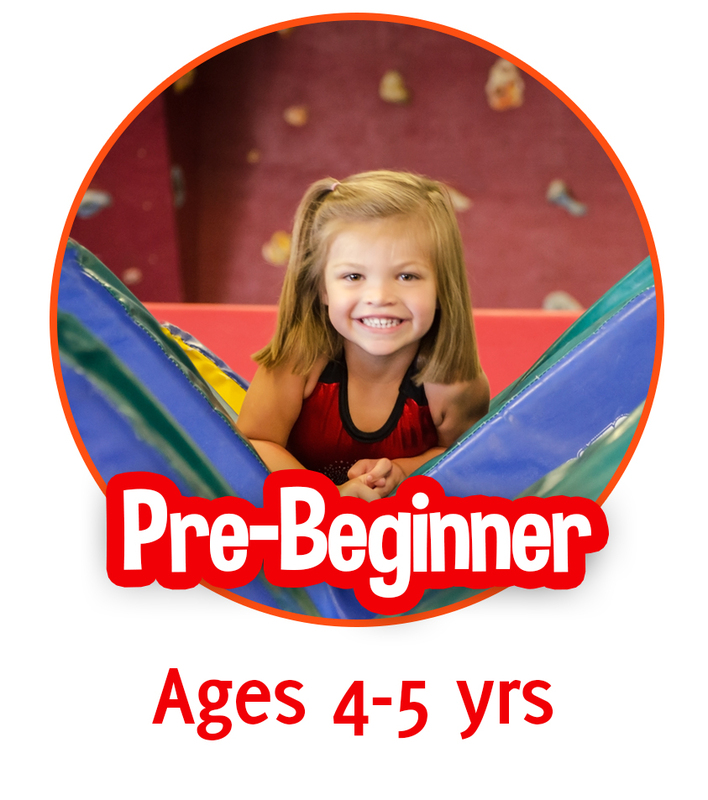 This FUN program is specially designed to help enhance locomotion skills, social skills, hand-eye coordination, working with other children and to learn important concepts like taking turns, following directions, and listening skills. 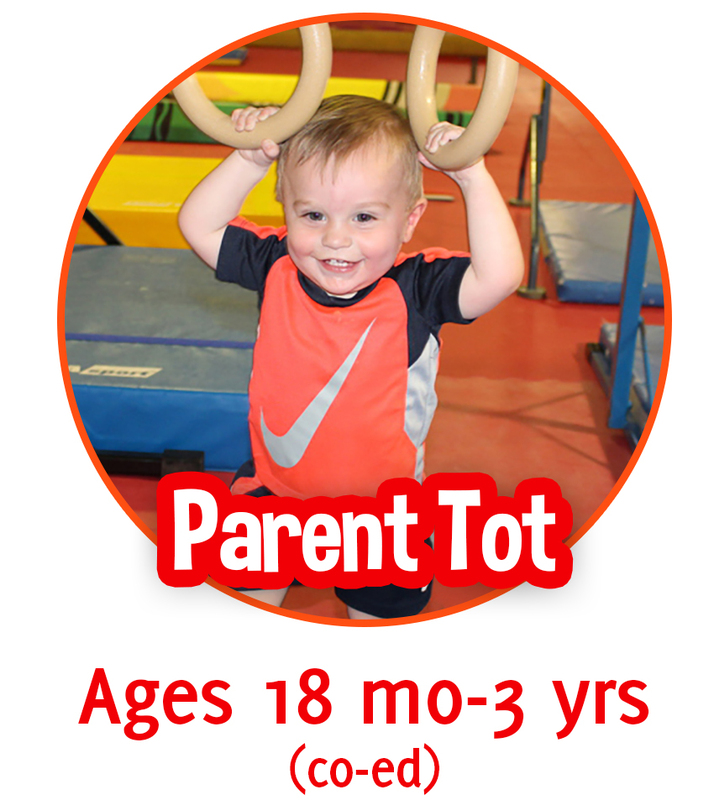 The participating parent learns to become a facilitator of the child's sensory and motor movement discoveries as the coach provides super fun gymnastics instruction the little ones will love! 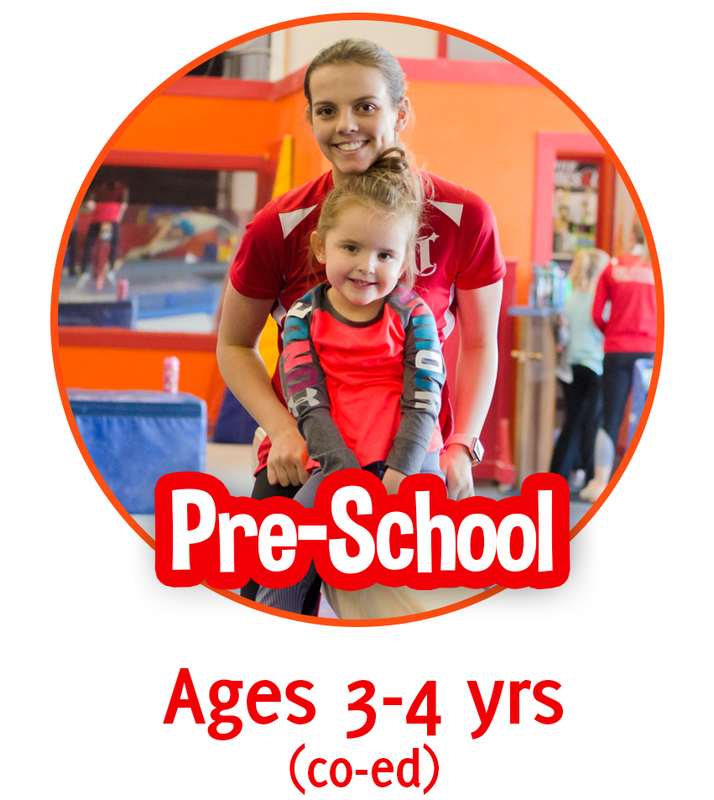 The class is specially designed to help enhance locomotion skills including basic gymnastics skills, social skills, hand-eye coordination and working with other children and to learn important concepts like taking turns, following directions, and listening skills. Children will also be introduced to more gymnastics skills and apparatus in a FUN and safe environment. 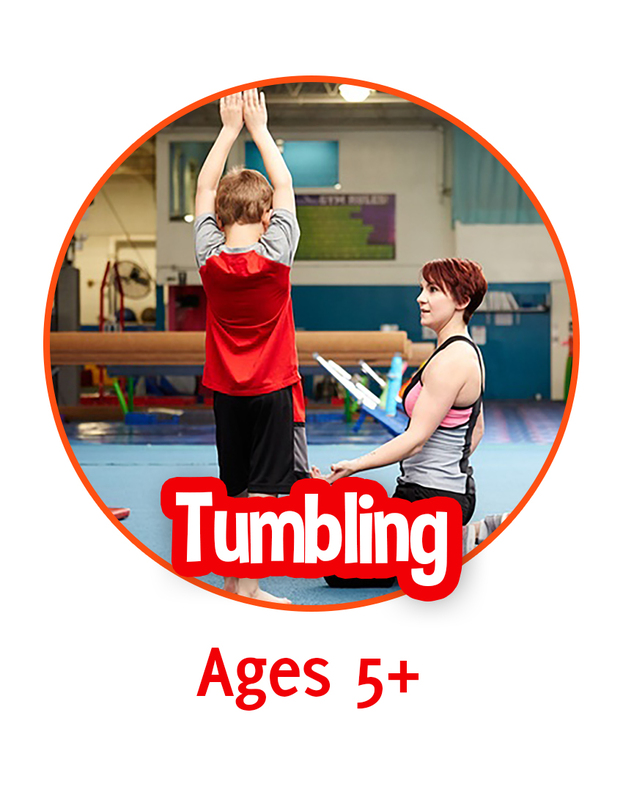 This class provides a foundation for gymnastics skills on all apparatuses. Our specially designed program promotes physical agility and fine motor skills. You will be amazed at the progress and development that occurs at this age. Watch your child's confidence grow as they learn new skills, gain body awareness, and face their fears. They will also continue to grow their social skills, hand-eye coordination, and working with other children. An introduction to gymnastics with a strong emphasis on vocabulary and body position awareness. 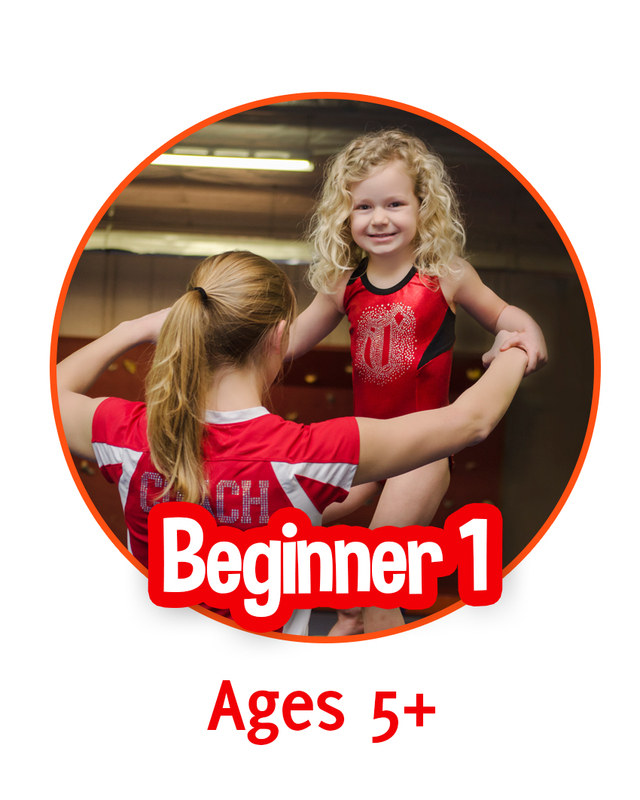 Students will learn the basics that will provide them with the proper techniques to achieve more advanced gymnastics skills. Skills that are introduced are bridges, forward and backward rolls, handstands, walking on toes across the high beams, strong run and jump onto springboard, and muscle developement for uneven bars. 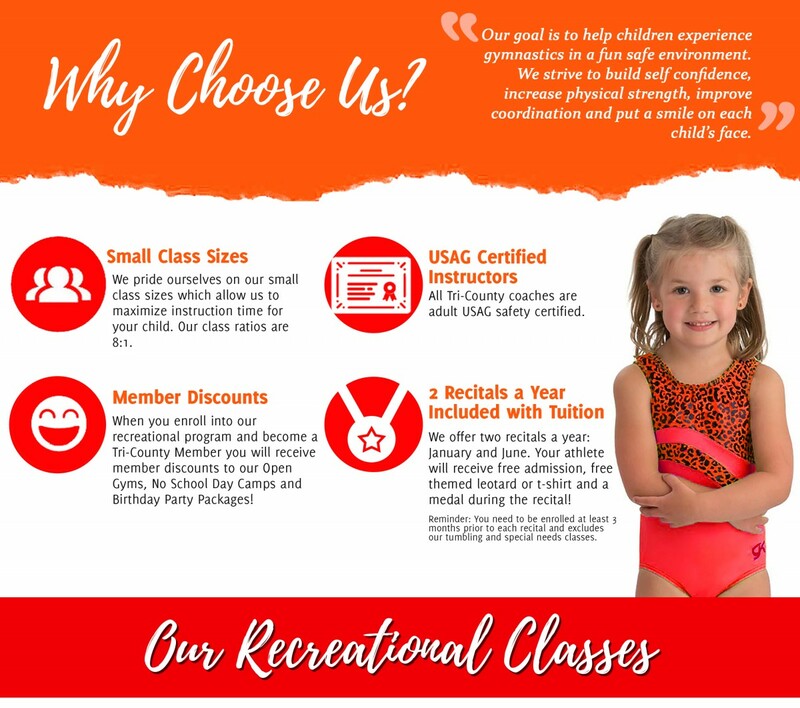 A continuation of the basics of gymnastics with an ongoing emphasis on discipline, vocabulary, and body position awareness, as well as age appropriate exercises to strengthen muscles and increase coordination. Skills that are introduced are cartwheels and handstands, jumping on the high beams, vaulting techniques, and mounts and casting on uneven bars. More complex skills that are consistent with the USAG Foundation Skills Development Program are introduced. The student is challenged to develop skills on each apparatus in a structured, disciplined approach. Age appropriate exercises and stretches are done regularly to increase muscle tone and coordination. 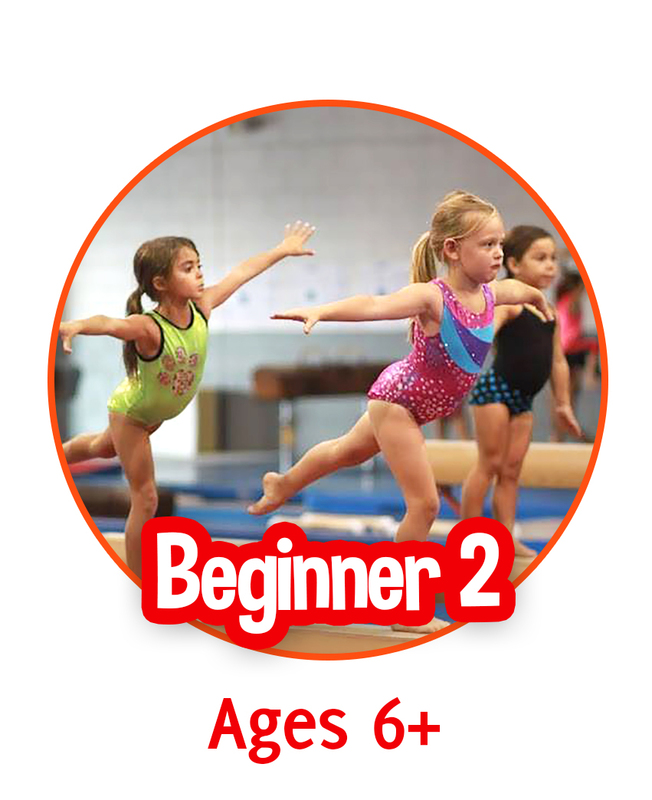 This class is a great way to find out what gymnastics is all about while having fun and making friends! It is an energetic and interactive workout with a little bit of adventure. 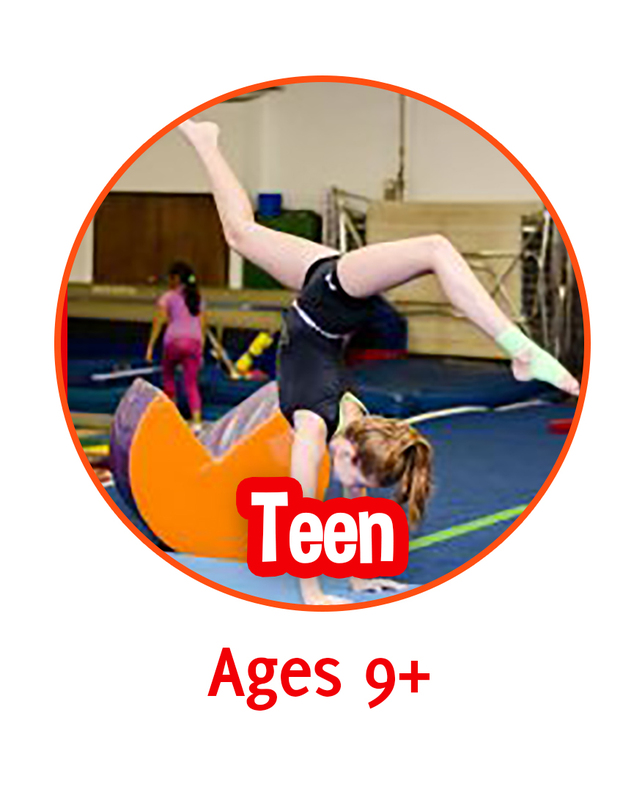 Also, because the teen gymnastics class is open to all experience levels, athletes have the ability to gain new skills and learn new moves while solidifying their base technique. Our Ninja Warrior class is designed to give athletes a fun approach to fitness as they work on strength, conditioning, flexibility, problem solving, and coordination as they overcome obstacles designed for their skill levels. 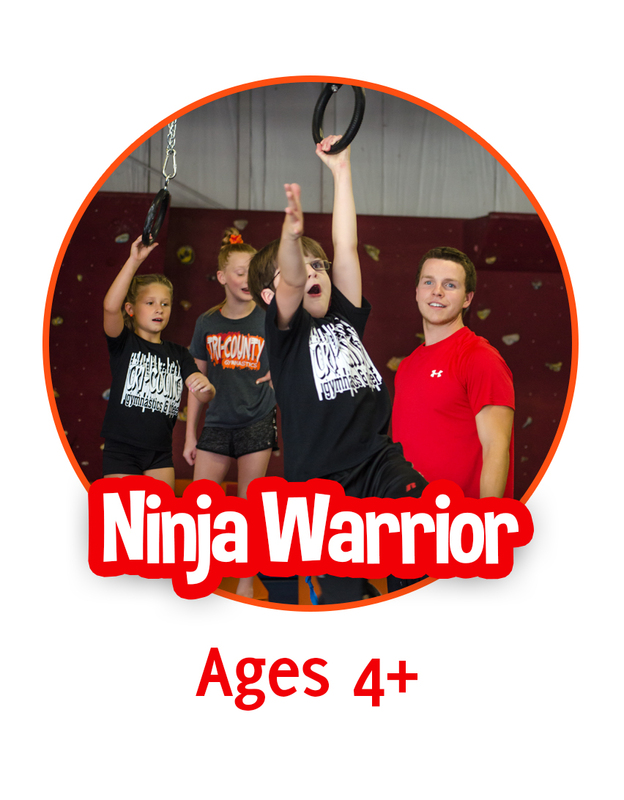 Your child will learn how to jump, dive, hang and swing through Ninja Warrior obstacles. Our non-competitive challenges will be scaled down to all age and skill levels for all kids to enjoy! We offer Level 1 and 2 Tumbling classes. Our tumbling classes allow athletes the ability to continue developing their strength and coordination while learning the importance of tight straight lines as they tumble and train on various elements in the gym. A back handspring is a requirement for Level 2 Tumbling.